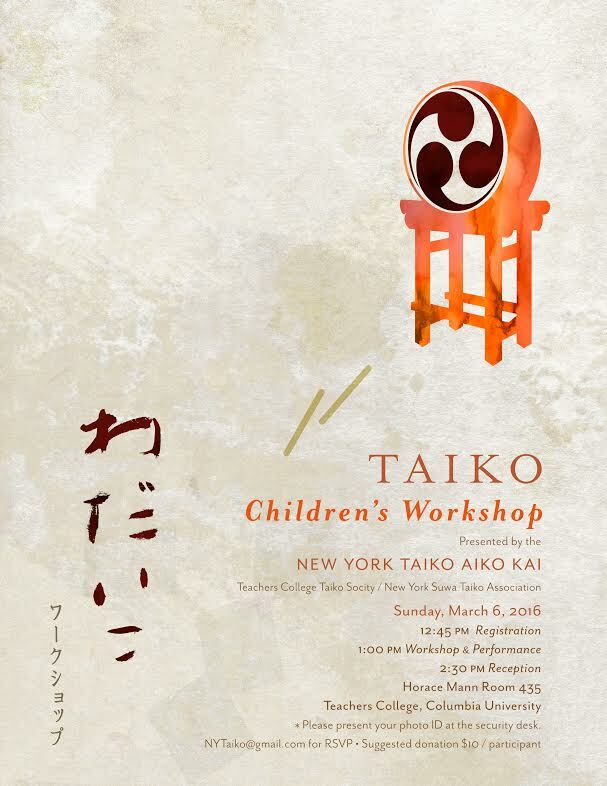 On March 6, 2016 we will hold our Children's Workshop for NYTAK. Workshop and a mini concert starts at 1 p.m., followed by a reception at 2:30 pm. Please RSVP by emailing nytaiko@gmail.com.